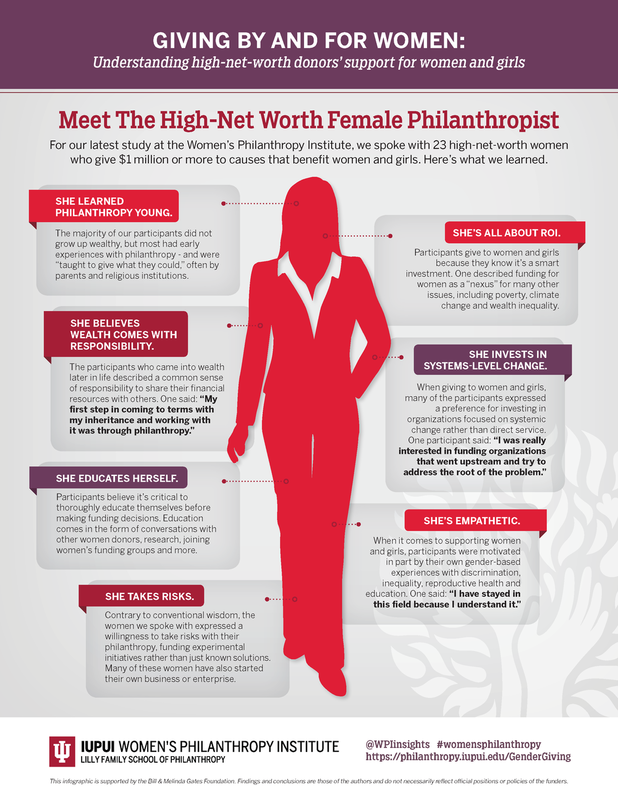 DO HIGH NET WORTH FEMALE PHILANTHROPISTS GIVE DIFFERENTLY THAN OTHER FEMALE DONORS? As we see (a turtle-like) change in the status of women globally in terms of wealth and influence, combined with the increased access to information provided by the internet, we are more aware than ever of the recent significant gifts being made by female philanthropy, singly or in collaboration with their partners. Women have always given of their money and their time — but as fortunes for some of them increase, do they donate to different causes or use alternate methods than their less affluent sisters? Some research shows there may be differences - and that makes sense. As F. Scott Fitzgerald is reported (there are varying reports of this conversation) to have said to his friend, Ernest Hemingway, “The rich are different from you and me.” And Hemingway’s response was, “Yes. They’ve got more money.” And I believe most of us would agree that immensely wealthy women — such as Melinda Gates, Susan Buffett, Patricia Harris, Priscilla Chan and more — don’t view the world in the same way you or I would. And that makes a difference in how they exert their philanthropic dollars and time (Inside Philanthropy - Meet the 15 Most Powerful Women in U.S. Philanthropy). Andrea Pactor, Interim Director at the Women’s Philanthropy Institute recently posted this: “Our latest Women’s Philanthropy Institute (WPI) report involved in-depth conversations with 23 powerful women about their experiences with philanthropy. Philanthropy starts young. The majority of our participants did not grow up wealthy, but most had early experiences with philanthropy - and were "taught to give what they could." Many emphasized the role that parenting and religion played in demonstrating that one did not have to be wealthy to be helpful or philanthropic. With great wealth comes great responsibility. 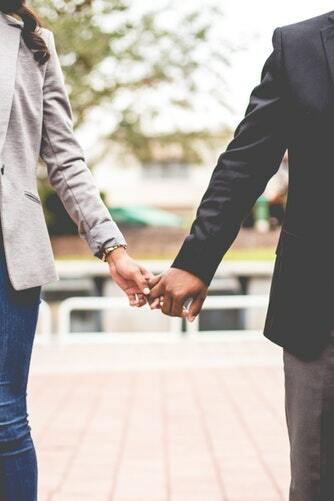 Many of the participants who came into wealth later in life described a common sense of responsibility to share their financial resources with others. A significant and sometimes sudden shift into a new class position often led to a phase of self-reflection for our participants, who grappled with how to best handle their newfound wealth. One said: "My first step in coming to terms with my inheritance and working with it was through philanthropy." Education is key. After coming into wealth, almost all participants engaged in a deep learning process to better understand the field of philanthropy and specific issues affecting women and girls. This type of learning is ongoing and comes in the form of conversations with other women donors, research, joining women's funding groups and boards, and more (like our studies!). Bring on the risky business. Contrary to conventional wisdom that women tend to be more risk-averse with their finances, the participants we spoke with emphasized the importance of experimental philanthropy. They talked about their willingness to take risks, and fund projects that answer questions - rather than just known solutions. It’s also interesting to note that many participants started their own business or enterprise - an inherently risky endeavor. Challenge the system. When giving to women and girls, many of the participants expressed a preference for investing in organizations focused on changing systems - such as law, public policy, culture - rather than direct service. One participant said: "I was really interested in funding organizations that went upstream and try to address the root of the problem." As I’ve said in earlier blogs, we cannot view anyone — male or female — millennial or baby boomer, rich or not, with one lens. What has been your experience with high net worth donors? If you work with high net worth individuals, what has your experience been? Do you approach them differently? What has worked, what hasn’t? Have you noticed a difference in how they give?